I have a BX2350 with FEL. I want to use the FEL to lift heavy objects (putting a rotary tiller on/off a trailer, etc.). The bucket has a single hydraulic cylinder, located in the center of the bucket. I am reluctant to use the cylinder in any way as part of attaching a chain for lifting, for fear of bending it in some way. I seem to left with wrapping a chain around the exterior of and center on the bucket. I would then attach the free end of the chain, which is dangling over the front edge of the bucket, to the load. Is this approach safe/OK for the tractor? Any better ideas that are simple/straightfoward would be appreciated. 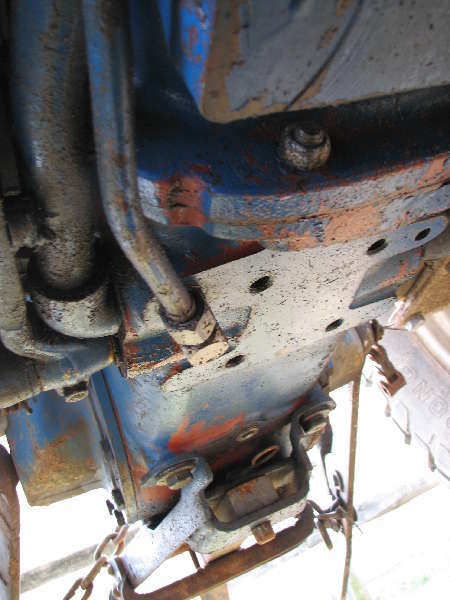 I'm not familliar with Kubota buckets in particular, but as a general rule for any brand you are very correct in not putting a chain around any part of a hydraulic cylinder, as strong as they may look the shaft is easily sprung doing such things. If you have access to a welder or a weld shop nearby you can buy grab hooks in various sizes that have a flat back designed to be welded to buckets, etc. Choose a point close to the center on the top edge of the bucket to avoid any twisting potential of the bucket by being hooked off center and be sure all things will clear when the bucket curls, etc. Before I had hooks on my Deere bucket I too waraped the chain around the bucket, that is kinda OK, but hooks are better. Frank. I'm not familiar with your loader either, but you might have overlooked some possibilities. My Koyker 160 has two lifting eyes (as opposed to hooks). There's one on either side of the bucket - top rear - in line with the lift arms. I used a tow hook designed for the underside of a 4x4 pick up. I'm not familar with your bucket either, that said, unless your bucket is reinforced especially across the top front edge I would not install any type of hook. I have seen many a loader bucket on every size made that has collapsed in the middle from stressing it. You may want to consider an attchment point on the top of the bucket at the front corners. With the bucket fully dumped run a single chain in a v-formation from hook to hook allowing it droop a bit farther than the bottom of the cutting edge. Then hook a second chain to the bottom center of the V. When you tilt the bucket backward you will get additional control of the lifting chain besides just using the loader to make it go up and down. The idea behind this is you have greater control from a sideways swinging load. I had a center- mounted hook on my loader backhoe carrying a chunk of concrete larger than I should have been carrying. I got off camber going over some other broken concrete and the machine tipped just slightly---but enough to get the center of gravity off enough to swing the concrete even more to the side and nearly lay the machine on its side. Quick thinking made me drop the loader arms and the machine righted itself. EW; Where you been lately, haven't heard much out of you??? This is prety hard for me to admit (you sometimes being right), but you are right about where to position hooks etc. on buckets. I thought about that after I posted, but you took care of it for me. Keep smilein. Frank. One word of caution I would add into all of this info. is that a bucket is designed to hold a well spread out load only. If you add a very concentrated load like a hook or lifting eye to a small area of the bucket you MUST add a plate or other reinforcement to spread the weight out over a much larger area than just the hook itself. It is very easy to buckle the relatively thin plate that a bucket is made from by adding too much weight to one small concentrated area. The only other thing you need to bear in mind is from a safety point of view. First off, don't overload it the FEL, the front axle pivots and if you get the load off too one side it will pull you over. Also remember that as the FEL goes up, the lifting point is getting closer to the tractor. 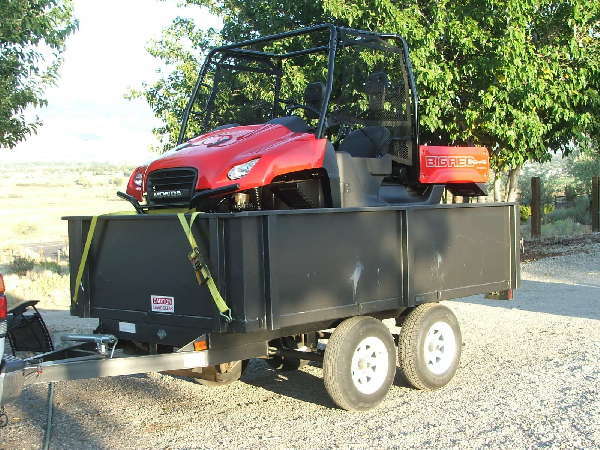 A very common mistake is to get the FEL right over the load and start lifting, only to find that by the time the load is up it is also much further from the tractor and it comes swinging into the grill once it's free. You do have to be prudent -- pump up the fronts, don't chain to a weak part of the bucket, never attach to a cylinder, go slow, ensure the rears stay on the ground, prepare what to do if something starts to go south (like tipping) so you'll do it instantly, the higher the lift the more the precautions, and so forth. But I doubt that something like a tiller will present any problems.